"Dedication of the church in Pamu. Guests ready to receive the greetings of the King of Pamu and the chiefs." [English: Dedication of the church in Pamu. Guests ready to receive the greetings of the King of Pamu and the chiefs.]" "[original caption] Kirchweih Pamu: Europ. Gäste bereit den Gegengruss des Pamukönigs und der Häuptlinge zu empfangen." Title: "Dedication of the church in Pamu. Guests ready to receive the greetings of the King of Pamu and the chiefs." “Dedication of the church in Pamu. 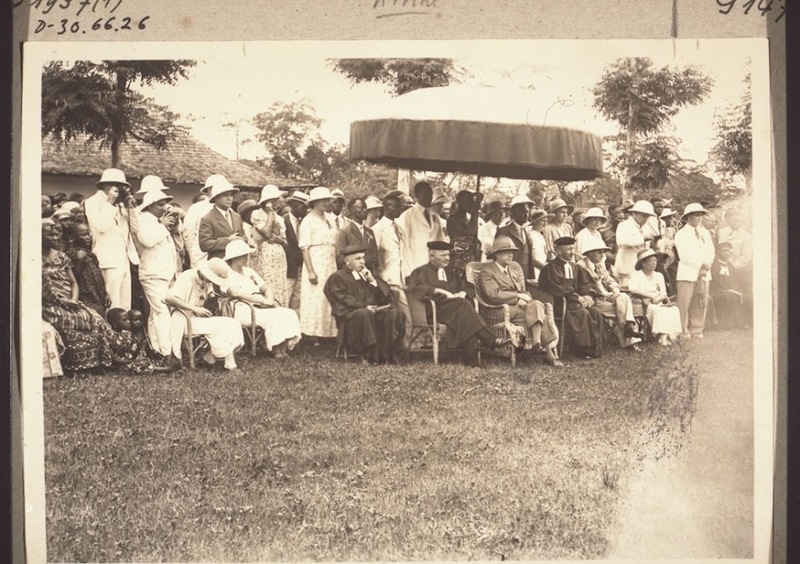 Guests ready to receive the greetings of the King of Pamu and the chiefs.,” BMArchives, accessed April 19, 2019, http://www.bmarchives.org/items/show/58236.